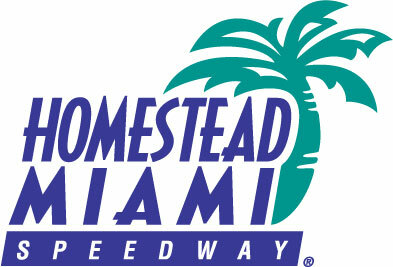 As Homestead-Miami Speedway prepares to host NASCAR’s championship races for the 17th consecutive year, it is also getting ready for another competition being held off the track. Homestead-Miami Speedway and the Omari Hardwick bluapple Poetry Network of the Jason Taylor Foundation are partnering with Miami-Dade County Public Schools to hold the third annual “Write Track Poetry” competition. The foundation, along with Homestead-Miami Speedway will again be introducing spoken word poetry to Miami-Dade County middle schools this fall. Students from participating schools will submit a poem based on the topic, What does winning look like? As part of this year’s competition, the top three poetry pieces in each grade (6-8) from each of the schools will be awarded two tickets to the Monster Energy NASCAR Cup Series Ford EcoBoost 400 championship race at Homestead-Miami Speedway on Sunday, November 18, 2018. In addition, the top student overall will have their piece professionally filmed. The following schools will be holding pep rallies to kick off Write Track Poetry. Any media interested in covering any of the pep rallies should contact Neal Gulkis, Stephanie Gonzalez-Solis or Andrew Devlin prior to attending. Leisure City K-8 Center Friday, Sept. 14 at 8:35 a.m.
Arthur & Polly Mays Conservatory of the Arts Friday, Sept. 14 at 1:00 p.m.
Frank Crawford Martin K-8 Center Tuesday, Sept. 18 at 8:45 a.m.
Gateway Environmental K-8 Learning Center Thursday, Sept. 20 at 8:45 a.m.
Homestead Middle School Thursday, Sept. 20 at 1:00 p.m.
West Homestead K-8 Center Thursday, Sept. 20 at 2:30 p.m.
Richmond Heights Middle School Friday, Sept. 21 at 9:30 a.m.
Vineland K-8 Center Friday, Sept. 21 at 2:00 p.m.